* Total number of reviews and star-ratings are based on data collected during the time period Aquarius Home Services has been using the ReviewBuzz system and may not directly match the data found on each public review site. Trevor did a great job for us, and kept the price down so we were pleased. Tech (John Warnke) knew what he was doing when mounting the grab bar on difficult to work with acrylic tub/shower. He was expedient and left a perfect job. I'll consider his employer for future jobs. Jason got an ok for alternative choice for our issue. Not sure that we will use it, but appreciated what he did for us! Very happy with the service we received. He is a great help and is Awesome to deal with! He is a hard worker! Service was excellent and Trevor the technician went above and beyond explaining how the system works and gave tips to make the system run at peak performance. Trevor is a very pleasant, young man who was competent and informative. He'll always be welcome in our home! Excellent service and help from Trevor today!! So nice....clean....thorough!!!! Trevor did a great job. Very courteous and knowledgeable. Thank you. A great water treatment system. No longer buying bottled water. Service is excellent! We found the service during installation to be outstanding. Informative, courteous and knowledgeable, the guys did a great job. We hope the systems perform as well in the years to come. I had Trevor fix our softener. Very professional and fast service. 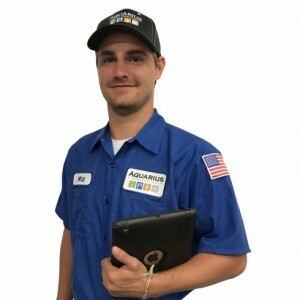 The service is always great, every time I need to set up an appointment with Aquarius Home Services both the staff in the office (over the phone) and the guys who work out in the field are knowledgeable, professional, and courteous. I just wish I didn't have to have them out all the time. It seems like their out at least once in the three months between when we have them out to set our system up after winter storage and when they break everything down. These guys are always professional, prompt, and knowledgeable. 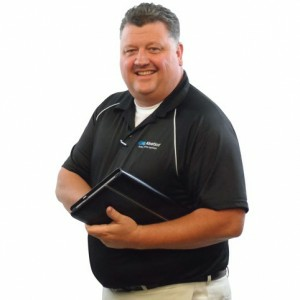 The several times Trevor has been out to help service our Kinetico system, he has always known exactly what was wrong with our system and exactly how to fix it. When Jeremy and RJ came out to my house, they were extremely professional, great with my dog, knowledgeable, and made sure they responded to every concern and question I had. Customer service is always a top priority at Aquarius Home Services. Our BBB Membership A+ rating is like a badge of honor as we continuously strive to provide the best experience for our clients. Wade W has a 5-Star rating and leads the company in total reviews, making this pro a ReviewBuzz Rockstar! With five children, one grandchild, three dogs and seven cats, there is no down time in Wade's life. Family is #1 and then followed by the outdoors and a good steak or burger. Always courteous. Always professional. Always friendly. Can say enough good about Aquarius Water Conditioning. We have been with them for almost four years and we have never had a problem with them. 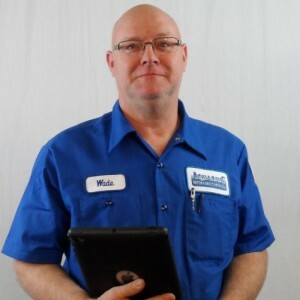 Our technician, Wade W., is awesome, very courteous, friendly and knowledgeable. The organization and their technician's don't come any better. Wade was very helpful and really explained what he was checking and why!!! We have had a Kinetico system for 11 years and are very happy with the quality of water. Will use this company again if needed. Wade did a fantastic job for me. I had an issue with my water softener and he found the problem right away. He took care of everything very quickly, did a great job of explaining the issue and the steps taken to fix it. Wade is professional, courteous and friendly. 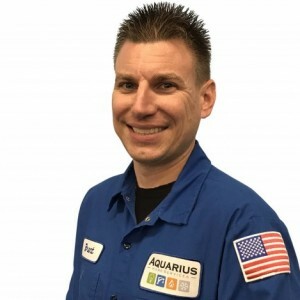 He was the technician who originally installed my softener more than 5 years ago, and to see that he is still with Aquarius is fantastic. When he showed up for the service call, it was like seeing an old friend again. Thanks again Wade. We couldn't be happier with our water softener and reverse osmosis systems, and the service technicians are extremely professional! WADE W. CALLED AHEAD AND SHOWED UP ON TIME. WORK WAS DONE IN A QUICK AND CLEAN MANNER. SHOWED ME A FEW THINGS THAT I WAS A LITTLE UNSURE OF. TESTED THE WATER AND CHANGED FILTER.. VERY HAPPY WITH THE SERVICE. Wade was on time, courteous, knowledgeable and careful to keep things clean. The service visit was a pleasant experience and we really like the years of good water we have had with our Kinetico unit. Wade was very knowledgeable and professional...friendly and courteous. We were very satisfied. Over the top courtesy and professionalism! This is the way to treat a customer. Highly recommend this service and staff. (Review regarding Wade W.) We've had a Kinetico water conditioning system in our house for over 8 years and are very pleased with it. 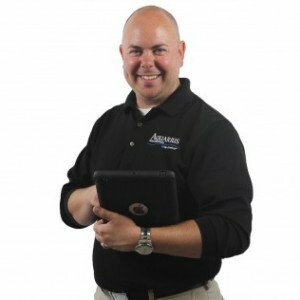 Recently we had some questions and Wade was the service technician who came to our house to check our system. We knew him from when we had the unit installed. He answered all our questions and was very professional and knowledgeable. We appreciate the good service. Wade did a great job of diagnosing our problem and coming up with a good solution. Excellent service with a great attitude. Wade was out last week to check on our RO drinking water system. Being 18 years old, it was in need of replacement. He had one in his truck, gave us a great trade-in, and <90 minutes later, we had drinking water again, LOTS of drinking water. Our Kinetico water softener is still going strong after 18 years so thankfully did not have to replace that. Thanks for your prompt and courteous service Wade! I know these systems are expensive but they're reliable and I'm sure near the top if not thee top of the market. Both Kevan and Wade were absolutely consummate professionals. They were both very knowledgeable and took time to answer all of our questions and address our concerns. Kevan certainly understood our water issues and, after a thorough assessment, recommended a system to meet our needs and steered us away from unnecessary extras. We were so impressed with Wade's work....i.e. extremely neat and proficient. We don't think we have ever worked with a friendlier folks. We are confident that the Kenetico system we have will solve all of our water problems. Wade was very professional. He took a look at our problem and made some suggestions. He replace the filter onto the wall so we have more support when it comes to changing it. Before it was hanging just onto the pipes and when we went to change it, was like it could break off. We don't have to have a bucket under it to catch the water anymore. Thats a plus as someone alway had to remember to empty it.